Mr. Monopoly paying a visit to the new Middlefield Bank jobsite in Powell. Although Mr. 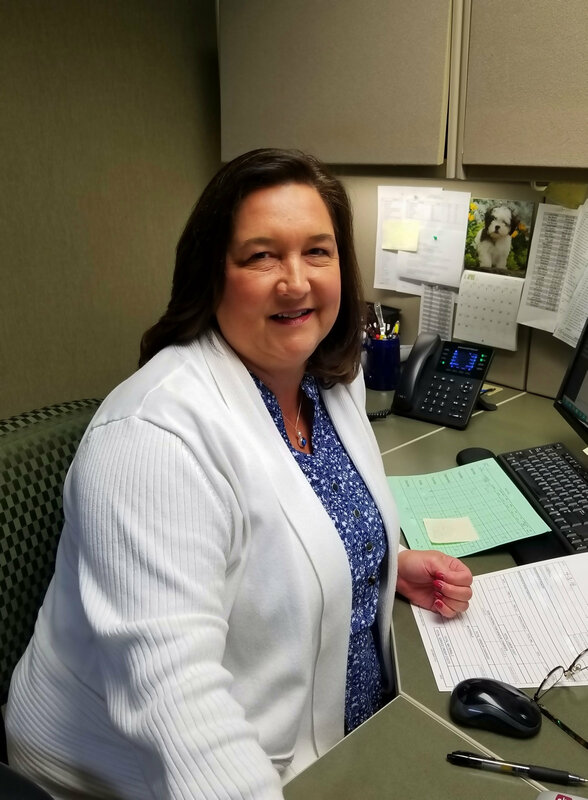 Monopoly won’t be there to hand you a “Bank Error In Your Favor Collect $200” card, the friendly staff at the new Middlefield Banking Company in Powell will be there to handle all of your banking needs! Renier & The Middlefield Banking Company recently broke ground on this new standalone location which is scheduled to open this summer. The full-service branch is designed to make the customer’s banking experience quick and easy, while still offering security and privacy. The new branch will feature three drive-through lanes as well as a family-friendly environment for customers with children with a designated area for children inside the lobby. You can read more about it here. 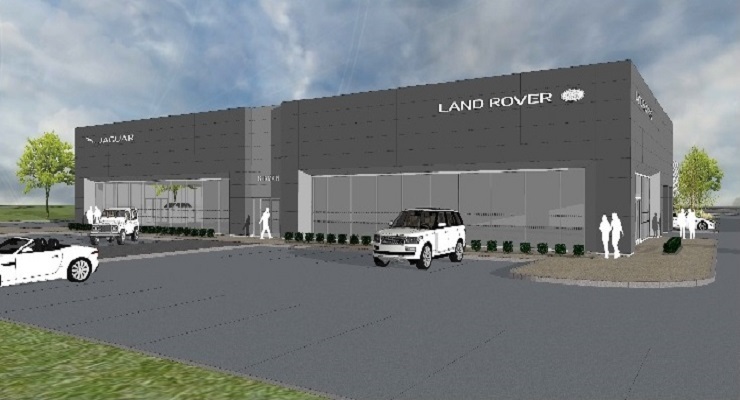 Located at the front door to Easton on Morse Road, the Jaguar Land Rover dealership will be one of the state’s larger locations at 32,000 square feet and feature a state of the art full sales and service facility. Through Renier’s design-build process, Architectural Alliance designed the new dealership to incorporate the fresh Jaguar and Land Rover image program, called Arch. The dealership is scheduled for completion by late December of this year and will meet the highest energy efficiency levels in every aspect of the building. How do you shake up a groundbreaking? You do it as a surprise party for your staff & friends! 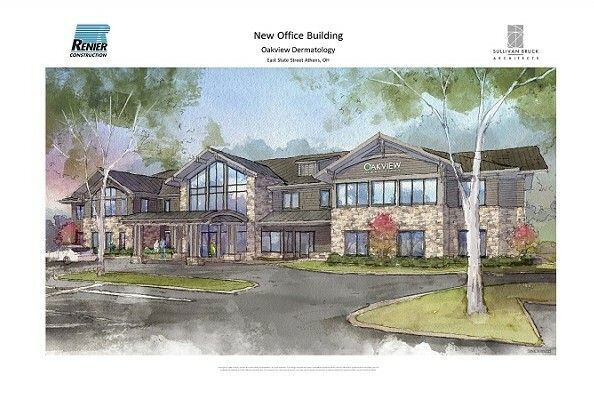 Oakview Dermatology & Renier Construction did just that for the new Athens, Ohio location. The expansive 11,250 sq. ft. offices will allow the practice to bring the newest advanced technology to their patients in a more comfortable environment, as well as expand the range of services offered to patients. With a September completion schedule, the beautiful East State Street location will be ready to serve clients in plenty of time for the holidays! 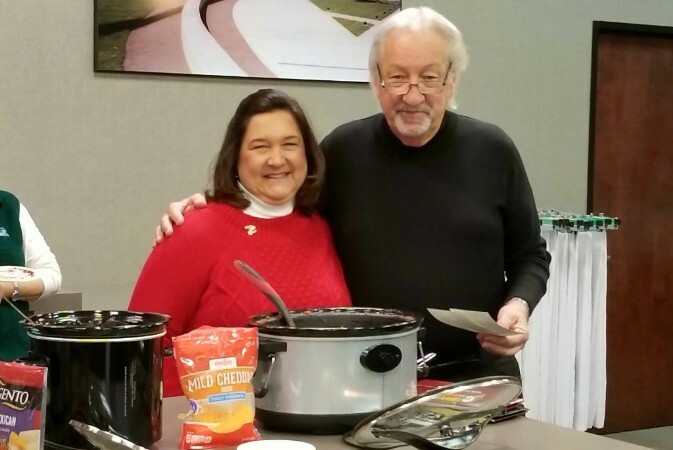 GROUNDHOG DAY & 2nd ANNUAL CHILI COOK-OFF! Everyone has their favorite holidays – but at Renier Groundhog Day, February 2nd is our favorite! There’s been a long standing tradition of a Groundhog Day celebration here –lots of activities, office decorations and fun facts are shared and enjoyed. Add to that the now infamous Renier Chili Cook Off and it’s an even bigger party! This year did not disappoint (no matter what the ground hog says). We had a record number of chili cook off participants at 5 this year with variations from spicy to white. But this year’s winner was Lori Rose Renier Office Manager shown above with Renier President Bill Heifner. Congrats to Lori! When did you join the Renier team? How did you first learn about Renier? And why did you want to work here? I had met Bill Heifner through a mutual acquaintance. I had a small child and I was looking for something part-time. I wanted to be able to put him on the school bus and pick him up after school. Renier was willing to accommodate that schedule until he was a little older and then I moved into a full-time position. Which three words would you use to describe the culture at Renier? I do a variety of tasks for Renier and I like that. I also enjoy the atmosphere at Renier and the people I work with. What’s the most valuable lesson you’ve learned while at Renier? Renier’s motto is Integrity. I’ve learned that everyone makes a mistake but admitting the mistake is the right thing to do. I think everyone here tries to do their job with Integrity. Take a look at this amazing video taken at the MPW Industrial Services Private Hangar that Renier recently completed at John Glenn Columbus International Airport. 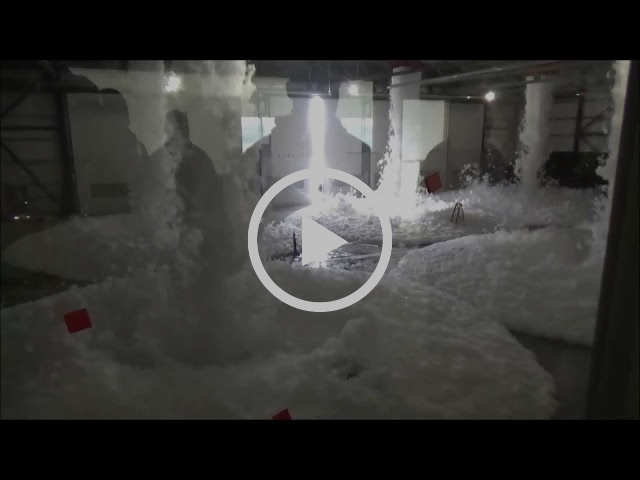 This is a test of the foam fire suppression system taken from the 2nd floor office level of the hangar looking down into the hangar itself. Pay special attention to the center of the hangar floor -- that is a 6 foot tall step ladder. See how long it takes to cover it completely!